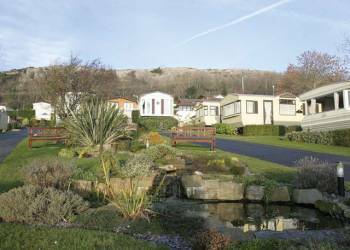 Commanding stunning views over rolling countryside from its sunny hillside setting, this beautifully landscaped park offers the perfect rural escape. You enjoy a fabulous spa, including a Jacuzzi boasting glorious views, together with a wealth of walks and places to explore in the lovely surrounding countryside. A small, family run, static caravan site in an elevated position situated on a working sheep farm in the heart of rural North Wales. Whether you are looking for a relaxing break away from the hustle and bustle of city life or a ramble in the stunning hills of Wales, Ffrith Bach is situated to suit all.